So here we are — the final, one-hour special episode of Konya mo Usachan Peace. Sayu begins by talking again about going through all kinds of various “lasts” as her graduation approaches, and now it’s finally come time to say goodbye to Konusapii after a great run of eight years. “But,” as Sayu says, “if you start thinking too much about everything ending, it’s just going to make you sad.” So instead of doing that, she’d rather just enjoy this final hour to its fullest with everyone. 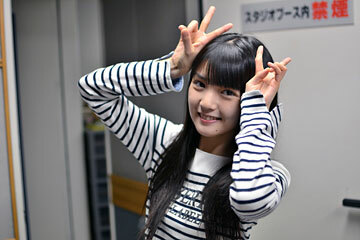 Sayu hopes the listeners will keep her company until the very end of these 60 minutes. 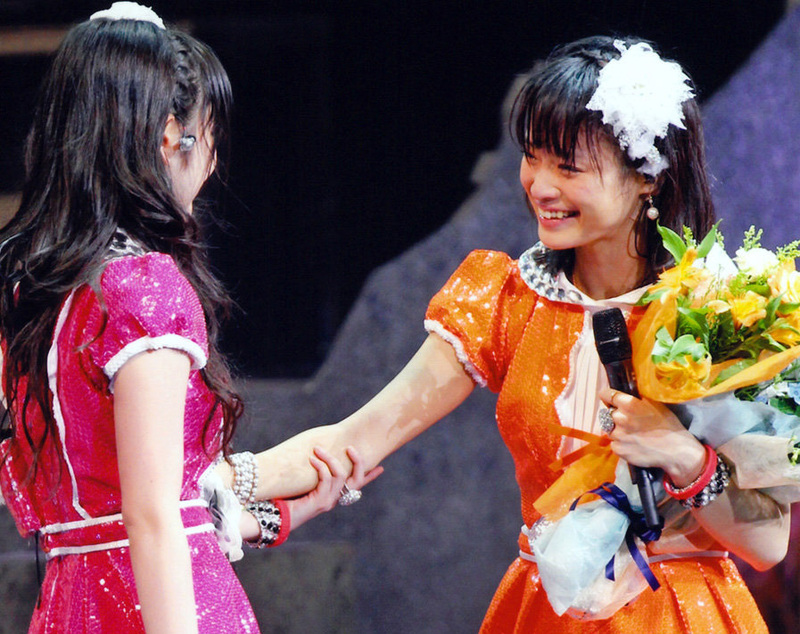 Here’s something a little special in honor of Sayu’s graduation tomorrow. 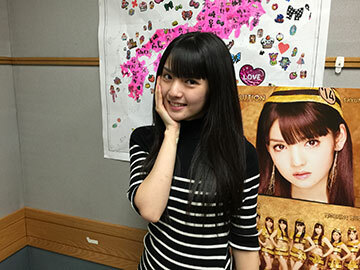 What follows is a letter she wrote to Eri that was read aloud on a radio show called “Yuucho LETTER for LINKS” earlier this year on 2014.01.12. There’s also a written transcript of it in Japanese here if you want it. Sayu talks about “YOUR LOVE,” her final photobook as a member of Morning Musume that was released last month. This being her 11th photobook, she feels thankful to the fans for having been able to release so many of them throughout the years. Sayu is usually quite picky when deciding on live costumes or doing photo shoots for normal pictures — she’ll want to have her say in everything from the shape of her one-piece dress or the length of her boots so she can look the best that she possibly can — but when it comes to photobooks, she always leaves everything up to the staff. This is because while she’s normally very selective about what she wears, she feels that photobooks should be something where fans can discover new sides of her entirely. Looking back, Sayu remembers a period of nearly two years when she didn’t get to release a new photobook, which was a source of sadness and anxiety for her. She was worried that maybe her last one didn’t sell enough and if she’d ever be allowed to release another one again. She recalls being a bit chubby around then as well, so she went on a diet to better her chances of getting another one. She was really happy when she finally did get to release her next one, “Doukei,” and it reminded her of how great a feeling it is to release a new photobook. She hopes lots of fans get to see her last photobook, too. Speaking about Morning Musume’s (and Sayu’s final) appearance on Music Station the week before, Sayu talks about how the group have been invited on the show for every single they’ve released starting with “Wagamama Ki no Mama Ai no Joke,” which was the first time back there in six years. 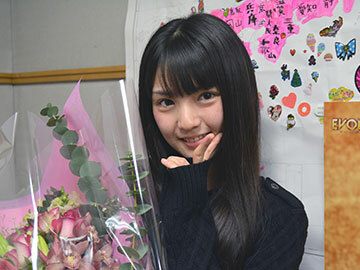 Sayu still remembers the many emails she received when they promoted “Wagamama…” on the show: even many of her old friends from Yamaguchi sent her messages congratulating her. However, Sayu only received one email after their “TIKI BUN” appearance on the show: it was from Kamei Eri, who complimented Sayu and said everyone looked really cool. But as for everyone else not mailing her about it, Sayu figures it must’ve actually been a good thing — in her mind, if people sent her lots of emails after “Wagamama…” because Morning Musume hadn’t been on the show for so long, then they must’ve not sent her emails after “TIKI BUN” because seeing the group on the show has become something commonplace again. Sayu also talks about how kind Tamori has always been to her. Whenever Sayu’s appearing on the show, he’ll remember her cutesy character and ask her if she feels she’s cute that day. On this latest appearance, although he jokingly gave Sayu a kind of half-hearted reply on-air when she asked him if he thought she was cute, when Sayu asked him again after the broadcast, Tamori replied “yes, I think you’ve become even prettier than before.” Sayu was happy to hear this from him. Sayu was very glad to appear on Music Station one last time, and she’ll look forward to seeing Morning Musume ’15 on the show next year. Tonight’s broadcast is a public recording, meaning it was recorded in front of a live audience. Sayu begins by telling everyone about something that happened to her earlier that same the day. These public recordings being rather low-key events, Sayu says she’s just wearing her own clothes and that she did her hair by herself, too. She’d decided that she wanted to have straight hair today, so she used a straightening iron at home in the morning. While she always makes absolutely sure she’s unplugged it after she’s done, she nevertheless got worried about it once she’d left the house today. So she called her mom and asked her to double-check for her, but she was quick to remind Sayu that she herself had taken the straightening iron with her. In any case, Sayu’s hair got a bit messy on her way the venue, so she straightened it a second time. She was just chatting to her manager about something while doing so, and when she was putting it away after she was done, she absent-mindedly touched the plates and burned her hand. Sayu says she tends to make fun of the members such as Rihoriho and Harunan who accidentally burn themselves a lot, so she may have learned a valuable lesson here. She says she’ll do her best while enduring the pain and says that if she fumbles with her words or is otherwise boring today, everyone should just blame it on the pain from her burn. Since Sayu never got around to talking more in-depth about Morning Musume’s New York concert, she’ll do so now. While Sayu had visited places like Los Angeles, Paris and the rest of Asia, this was the first time she’d been to New York. She wasn’t sure what the fans there would be like, but when the concert finally began she quickly found that everyone was really excited. She was expecting more of a language barrier, but the way everyone was singing along to the songs proved her wrong, and it made her see how much the fans there had been listening to their music and how much they knew about the group. Sayu talks about how she started by reading aloud a letter to the NY fans that was in Japanese, but even then it seemed like many people were reacting to it and understanding what she was saying. Although the fans did have a bit of a laugh at Sayu’s difficulty in getting through the English portion of her letter, everyone kept carefully listening to what she had to say. Thanks to this, Sayu really felt how kind all their NY and other overseas fans are, and it was obvious to her how eagerly everyone had been waiting to see them. She was also very moved hearing about the fans’ project to hand out pink glow sticks when people told her about it at the handshake event. All in all, the whole concert was just full of joyous and touching moments for her. Finally, Sayu gives a genuine “thank you” to all the fans who attended the concert and made it a success, whether they were from Japan, New York or elsewhere in the world. Aside from the concert, the group also went to see the Statue of Liberty on the day they arrived. As they were heading out there on a ferry, Sayu and the 10th gen members were talking about just how big the Statue of Liberty actually was. Sayu announced that she’d read in a textbook or somewhere that it’s around twice the size of Harunan. Harunan immediately said Sayu was definitely mistaken… adding that it’s actually more like five times her size. Sayu responded by laughing and flat-out rejecting the idea that the Statue of Liberty could be that big. Sayu: Wait…?! Hold on… That’s easily bigger than twice your size! Harunan: Right?! I told you so! See, it’s five tim– Huh?! The two quickly realized that the “Harunan scale” had been painfully inadequate for measuring the Statue of Liberty. Commenting on Morning Musume’s new members, Sayu says that all four of them are very much her “type.” She thought they were really cute ever since she first learned who had been accepted into the group when she did the video letters for them, announcing that they’d passed the audition. But while she just thinks they’re all very cute, she strongly suspects that the other members might have varying feelings about the recent inductees. For example, Kudo has stated that she needs to do her best to remain the person in charge of the group’s looks department, even though that’s something she would’ve normally never said herself up until now. Sayu has started noticing sudden changes like that in all of the members after the announcement. In other words, the 9th, 10th and 11th gen members have become very conscious about things with the new members joining the group, and Sayu thinks this is definitely a good thing and will lead them once again into creating a whole new Morning Musume. The new members will start performing with the group starting next year, and while Sayu will have graduated by then she looks forward to what will undoubtedly be a great Morning Musume ’15. 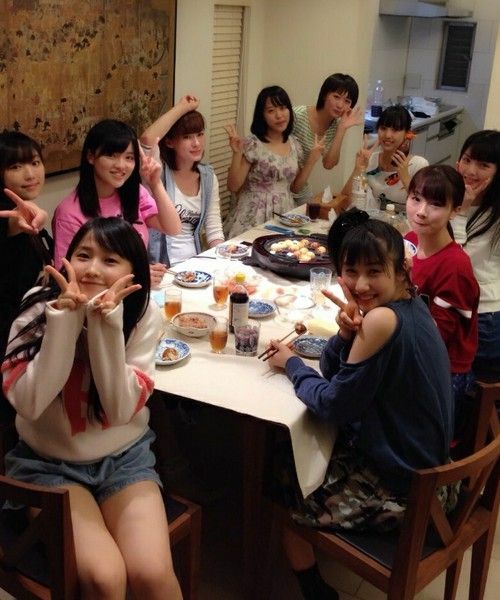 Sayu mentions the members of the group all having a day off on September 28th, and they celebrated by having a takoyaki party together. It was a lot of fun and to her it proved how friendly the members are with each other — this kind of thing happening as of late has reminded her how much she loves the group, and while that has never changed in these past 12 years, she says the feeling is only getting stronger now near the end. With Morning Musume’s new single soon to be released, Sayu talks a bit about the three music videos. Although “TIKI BUN” was shot in a kind of warehouse-looking location that might look a bit chilly, Sayu says it was actually crazy hot there. She felt hot even before they started, and although you can’t see it on the video, everyone would be all sweaty with each successive take of the dance shot. Sayu once again mentions the cuteness of the “Shabadabadoo” music video, and although too much praise might raise everyone’s expectations of it, she says the video is so cute it can take it. After most of the members had already seen it, Oda revealed she had yet to do so. 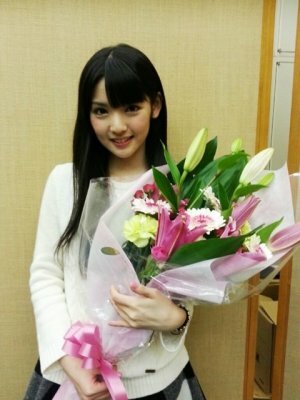 This prompted Harunan to tell Oda that her life was about 50% incomplete, just because she hadn’t seen the video yet.